Snowglobes are, simply put a magical part of childhood. There is something so mystifying about the glass bubble, the snowy liquid and the little scene inside. I have always loved winter and am so excited to share this one-of-a-kind workshop with your party guests. Together we will create a little world of winter using our in house clay baking process. 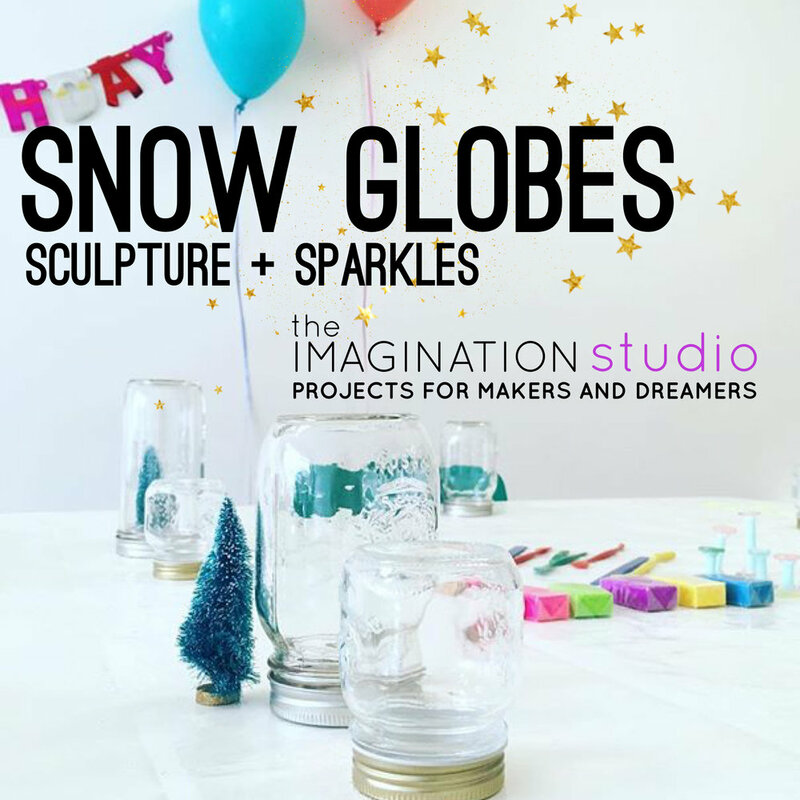 This snow globe approach is truly unique to The Imagination Studio and is truly a sculpture lesson in its own right.